What Is a Microbusiness / Microentrepreneur? Whenever I introduce myself as a microbusiness blogger or mentor I am nearly always met with a confused stare and a furrowed brow – you know, where the skin wrinkles up in-between the eyes. 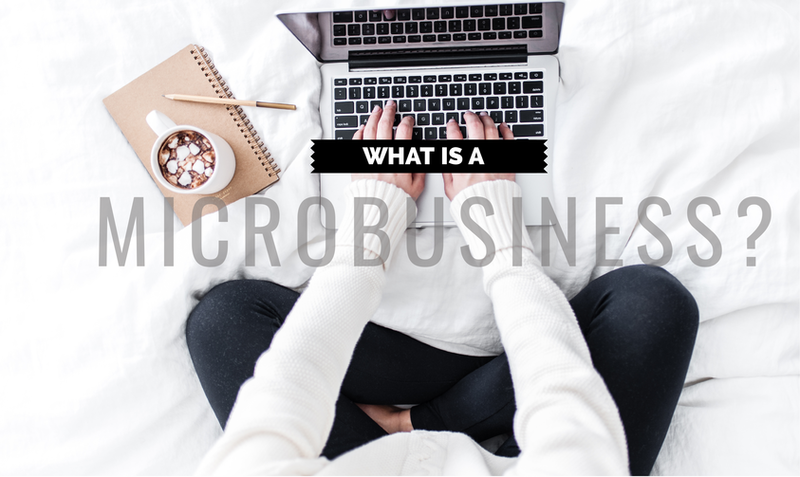 Some nod their head as if they know exactly what I’m talking about, yet most aren’t too embarrassed to ask me my #1 question: What IS a microbusiness? I’d love to say that it is easily defined, and in some aspects it is – yet I have discovered that the only consensus I can come across is that it is a very, very small business. There was NO money and my time was already maxed out. I couldn’t qualify for any loan whatsoever, heck, I didn’t even qualify for a Kohl’s credit card! Not to be one to give up right away, I figured I was going to have to find the time to learn the skills I needed. I started searching for small business resources. Much to my surprise, I discovered that a small business was one that had up to 500 employees and had millions of dollars in revenue. I remember the day I sat shocked as I stared at my computer screen and declared, “I’m not a small business! I’m a MICRO business – or NANO business! !” Oh, I had a cash flow, but it flowed right out the same day it flowed in and didn’t even stop long enough for me to admire it. The resources simply didn’t fit my needs – or my pocketbook. While there is not a lot of information out there regarding microbusinesses, there is a little bit here and there. Based on my experience in talking with the smallest of business owners based on the definitions of a few key organizations, here is the best way to define a microbusiness. A business with one owner and 5 or fewer employees, or a nonemployer. They make up anywhere from 75-91% of all US businesses (depending on where you find your stats) and are primarily comprised of individuals working for themselves and their families. Many are in the moderate-to-low income range. Whenever I was asked what a microbusiness was, my definition was always 0 – 5 employees. It would seem that other private organizations who serve microbusinesses also agree with my interpretation of a microbusiness. Some banks or organizations also refer to these smallest of businesses, as a “microentrepreneur”. While there isn’t a clear definition, it appears that the government and banking organizations consider you a microbusiness if you have at least 1 employee, while if you are working solo, then they think of you as a micro-entrepreneur. Due to the very small nature and budgets of such businesses, they are largely ignored and resources are few and far between. However, my personal view is that microbusinesses and micro-entrepreneurs are a force to be reckoned with. Most of us would recognize a microbusiness by a number of other names. We can probably think of a dozen more identifiers that would give us a picture of the nature of microbusiness. In my experience, the micro-enterprise is the business that serves to generate the income of one (or a few) and has limited financial resources. Most microbusiness owners don’t have the history or resources to secure large startup loans for a small business. So they find themselves “bootstrapping” their dreams. Their needs are unique as most of them are the sole worker in the business, requiring them to wear many hats and learn numerous skills to keep their business afloat. Some start with a passion or dream but no business understanding. Suddenly they are thrust into a situation where they realize that there is far more to running a business than just doing what they love. Sadly, (supposedly) nearly 80% of microbusinesses will fail within the first 5 years. It isn’t easy, but it can be done! While others ignore the massive opportunities with these micro-entrepreneurs (because as I’ve had a few people tell me, “There’s no money to be made in that sector”), my goal is to see those statistics change and give microbusinesses access to the resources they need to grow and become big business. I love all the opportunities afforded to a micro-entrepreneur. It allows someone from anywhere and with the smallest budget, to create income off of their ideas. All they need is a little encouragement, help, and a strong determination to make it work. RESOURCES: Here are a few places to find free and low-cost resources for your microbusiness. It is just a start. There are more out there, especially if you have the time to search for what you need!